The Interfolio Faculty Information System uniquely serves as an interoperable, ever-growing hub of current information about the professional activities of your college or university’s faculty members. Building everything with a “faculty first” mentality, we address simultaneously the needs of individual scholars and those of institutions. On the individual faculty member’s end, this means a single platform to store, organize, view, and submit the personal and scholarly information associated with your CV, your research citations and creative productions, your service and committee work, and the documents and submissions associated with your reviews, tenure, and promotion. From the perspective of the institution, the value of building a current, accurate hub of academic data validated by faculty members themselves leads to data-driven insights about budget, collaboration, faculty expertise, research competencies, hiring, diversity goals, accreditation, and more. We are able to pull in data from virtually any existing source of academic information. 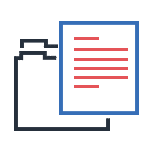 In addition to widely relied-upon data sources like your campus ERP or SIS, or legacy data from any existing systems, we collaborate with a number of partners to provide a thorough picture of your faculty’s data. Here is a list of our existing data partners. Interfolio is an ORCID Member Organization. The ORCID-Interfolio integration allows users to pull data from their ORCID profile into their Interfolio Faculty180 record on campus. Learn more. OCLC WorldCat is the world’s most comprehensive database of information about library collections. Unparalleled in scale and data quality, WorldCat makes library collections findable and accessible around the world. The Web of Science Core Collection is the largest academic citation database available, with over 1 billion cited reference connections indexed from high quality peer reviewed journals, books and proceedings. 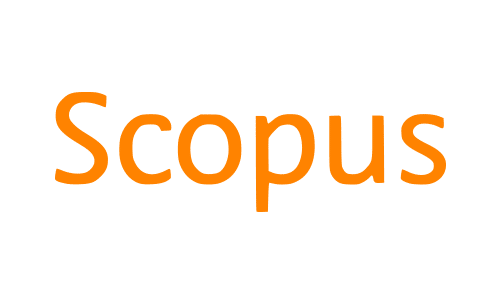 Scopus is the largest abstract and citation database of peer-reviewed literature: scientific journals, books and conference proceedings. Interfolio Faculty180 can integrate with Scopus at your institution to pull in scholarly citation data. The Canadian Common CV (CCV) allows researchers to enter CV data once and export it for submission to CCV Network member organizations. Interfolio’s CCV integration yields huge time savings for scholars and institutions. Process Pathways’ ROMEO Research Enterprise platform offers a content-rich, web-enabled digital solution for research information management. Interfolio Faculty180 pulls in grant proposal and awards data from ROMEO. Learn more. In addition to leveraging data from external academic databases, Interfolio sustains a high-quality experience for users and client institutions by drawing upon today’s best practices around authentication and security. 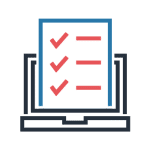 Interfolio is a member of the InCommon Federation for the purpose of supporting the authentication needs (single sign-on) of our fellow InCommon client institutions. Learn more. Interfolio is a member of Canadian Access Federation, managed by CANARIE, for the purpose of supporting the authentication needs (single sign-on) of our Canadian client institutions. Learn more. Interested in learning more about how your university, academic staff, and students could benefit from managing some or all of your academic staff processes with Interfolio? Let us know today.